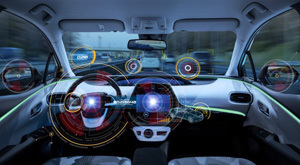 Following news today of the Department for Transport’s intention to trial fully Driverless cars on public roads by the end of the year, Thatcham Research, a leading player in the safety dynamics of Automated Driving offers its response. Director of Research, Matthew Avery comments, “We support the Government’s ambition to position the UK at the vanguard of technology development. We also welcome the advent of fully Automated cars and the many benefits to mobility and car safety they will bring. However, the desire to accelerate the implementation of these technologies while keeping all road users safe is a delicate balancing act. Safety must be a key priority, and this must not be compromised to achieve a leadership position.